On Sunday we were invited along to Preston Park Museum in Stockton-On-Tees, to explore the new Behind The Seams exhibition. 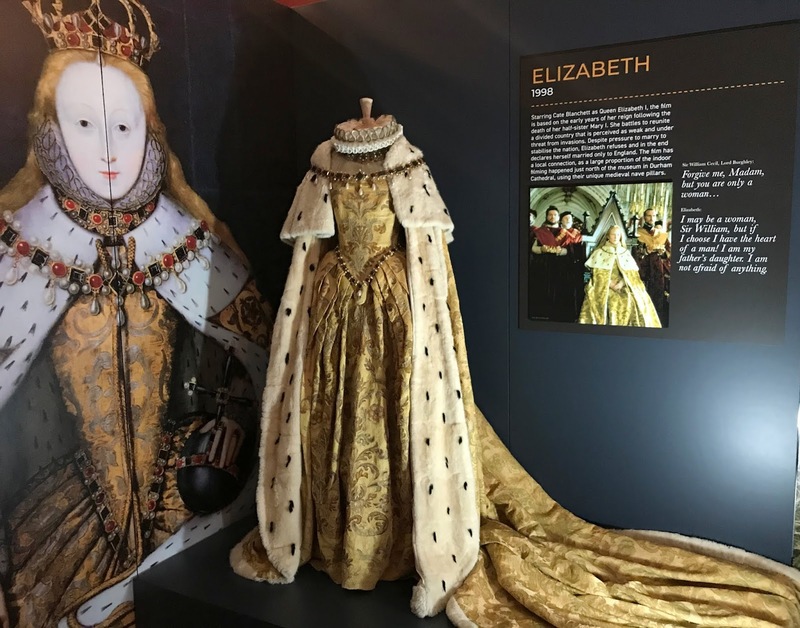 The exhibition provides a glimpse into the world of costume design and explores the story behind Angels Costumes, the worlds greatest costume houses who have been dressing the stars of stage, screen and TV for over 175 years. 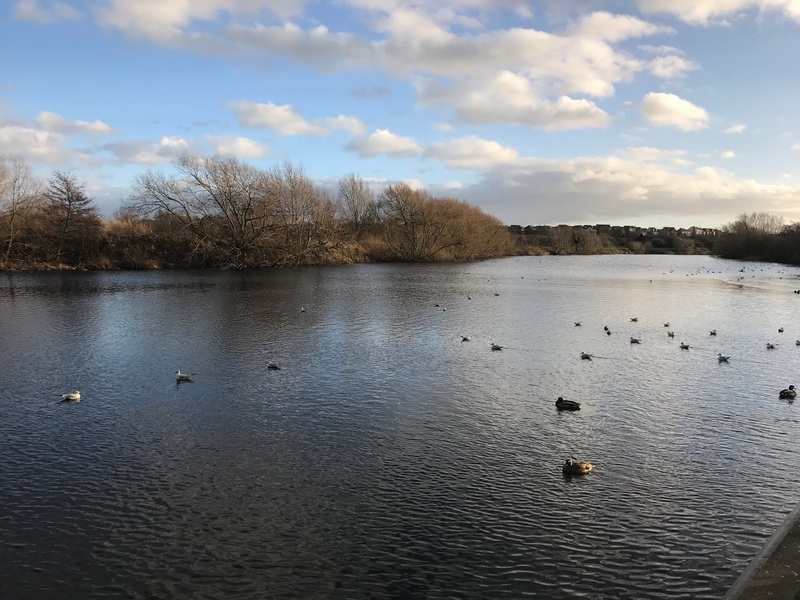 As I had never visited Preston Park before I had no idea what to expect, so read on to see what I thought. The Behind The Seams exhibit is located in the most beautiful rooms at Preston Park, think dark woodwork, huge ornate fireplaces, patterned ceilings, chandeliers and tiled floors. 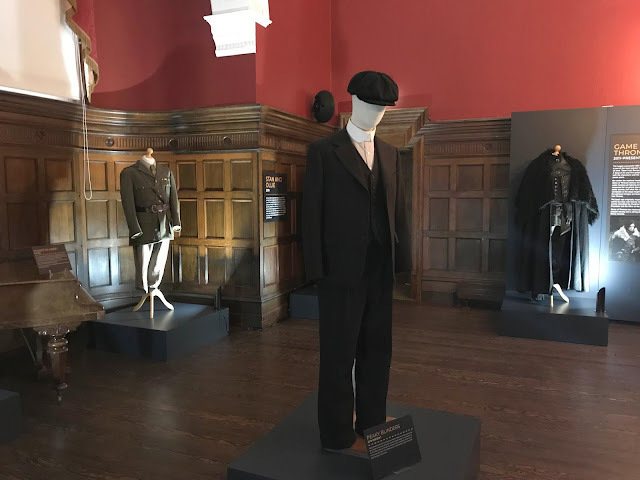 The setting really was most perfect for stepping back in time and setting the scene for browsing the costumes, many of which are from more period films and TV shows. 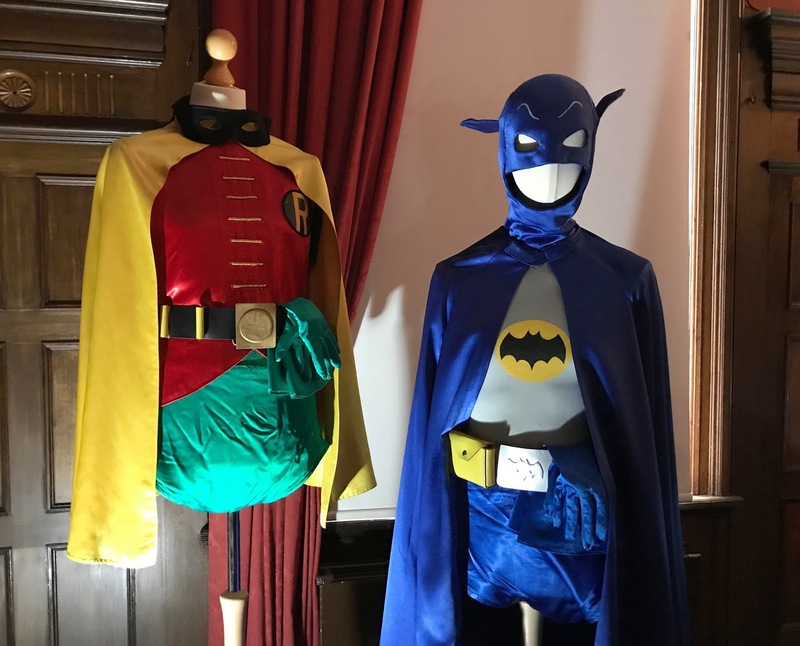 The exhibition is a showcase of 35 costumes from some very much loved TV shows and films and even a few costumes from yet to be released films too. Each costume is set out on its own and has an information board next to it telling you about the costume and what it was in, often with a photo of the actors wearing the costumes. Most of the costumes are the original costumes worn by the actors, with a few being replicas or worn by minor cast members. There are guides dotted around the exhibition who are happy to chat to you about the costumes and answer any questions you may have. You can also buy a guidebook from the ticket desk for £1.50 which goes into more detail and is well worth a purchase to make the most of the exhibition. We got to see costumes from films such as Beauty and the Beast, The Nutcracker, Titanic, Bohemian Rhapsody, The Great Gatsby, Elizabeth, The Queen, Shakespeare in Love, and soon to be released films Dumbo and Stan and Ollie. We got to see costumes worn in TV shows such as Only Fools and Horses (the batman and robin outfits), The Crown, Peaky Blinders, Downtown Abbey and Game of Thrones to name just a few. 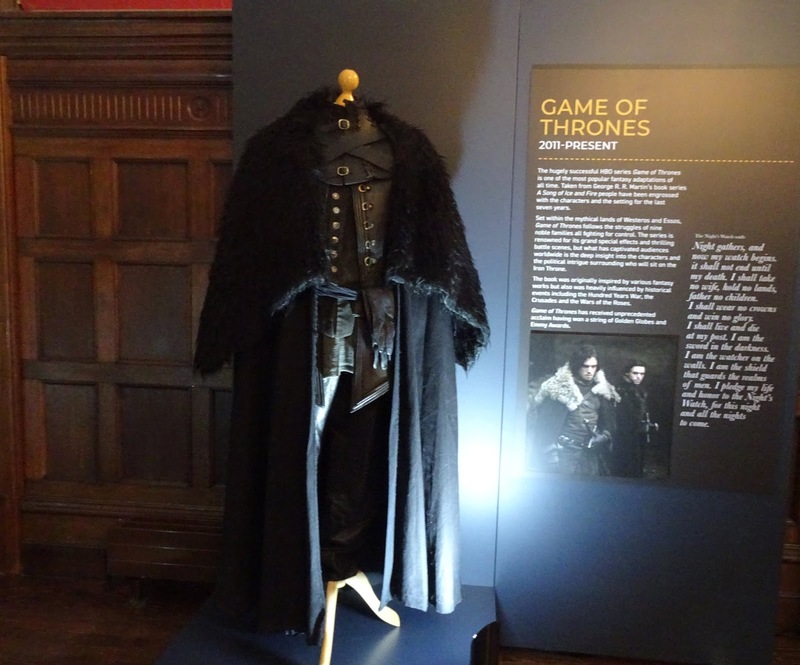 We found out lots of interesting facts about the costumes the iconic Games Of Thrones cape is actually an Ikea rug, who would have guessed. 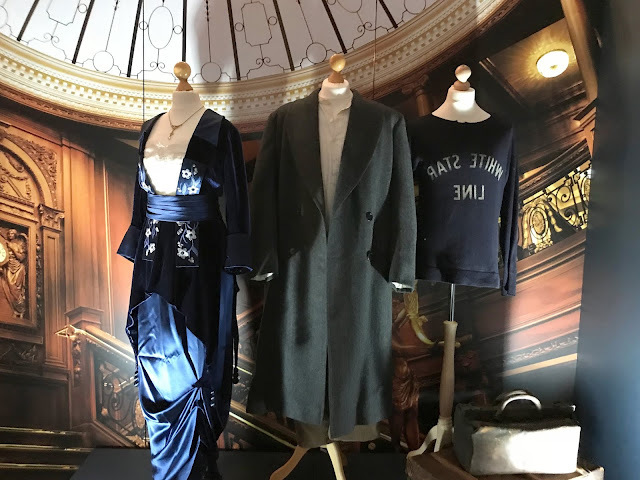 We also found out that all the writing on the Titanic costumes and props had to be backwards, this was due to the scenes being filmed in mirror image due to the boat in the film being docked the opposite way to the way the real titanic was docked. So they filmed the scenes and then turned them around so they appeared the correct way around on the film. 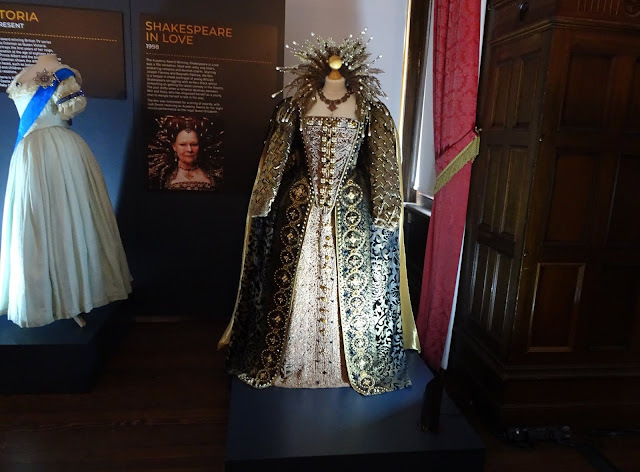 We really enjoyed finding out more about the costumes and seeing them up close, they had so much attention to detail and some of them were really incredible in real life. 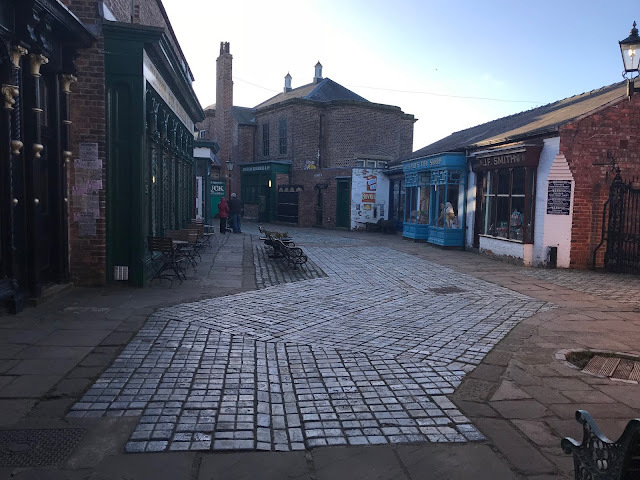 The Behind The Seams exhibition is at Preston Park Museum until Sunday 3rd March 2019 during normal museum hours and you can just pay to enter the exhibition on arrival at Preston Park museum. Tickets cost £5 per adult, £3 per concession and under 16s are free. You also need an annual pass to enter the exhibition which costs just £5 per family (2 adults and up to 4 children) and is great value as you can use it all year. So for a family to visit the exhibition and enjoy a annual pass to Preston Park Museum it would cost just £15, which is very good value. As we had never visited Preston Park before we decided to explore the museum and we really enjoyed it. Upstairs there was lots of interesting things to look at such as old toys and household objects, they also had a colouring station which kept my 5-year-old entertained for a bit. They have a Victorian street which had a traditional sweet shop selling classic sweets for just 50p - £1 a bag. They had a lovely old-fashioned toy shop selling wooden toys and soft-toys, I treated Sophia to a owl soft toy which was only £3. 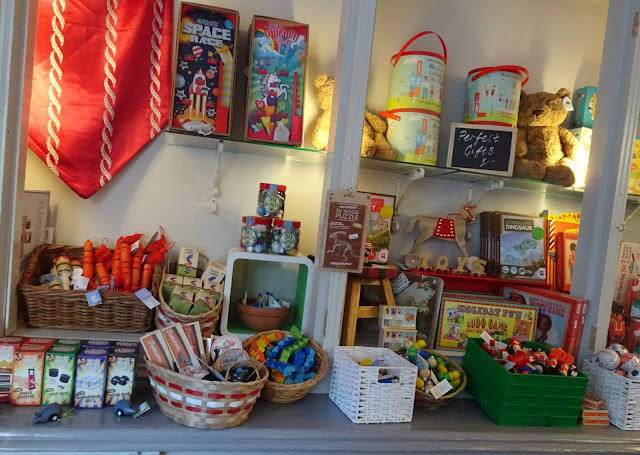 There was also a very cosy looking tea room selling drinks and cakes and there was lots of games dotted around such as hoop rolling and skittles. Preston Park is set in some lovely grounds and we enjoyed walking along the river, watching the ducks and swans. 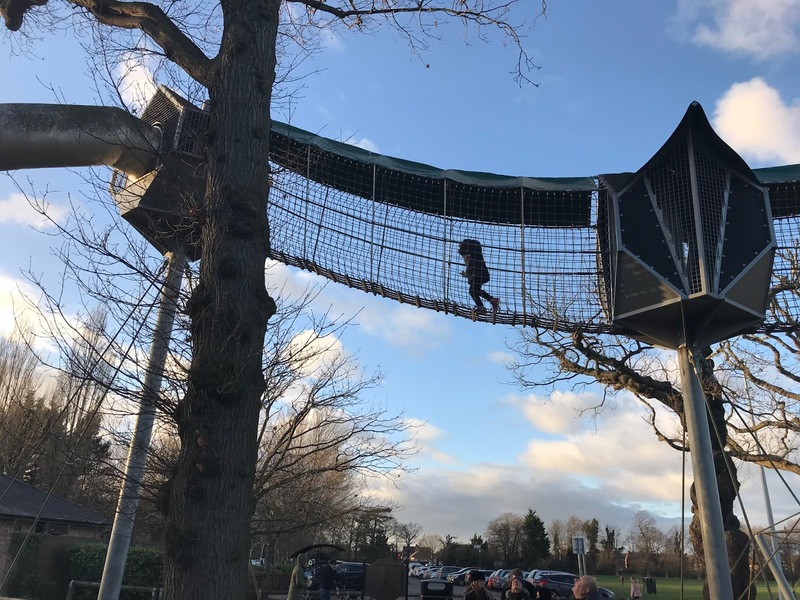 There is also a brilliant park filled with huge climbing frames, slides, swings and roundabouts plus lots of smaller play equipment for younger children too. My 5-year-old loved the park and had great fun climbing up the huge play frame and whooshing down the twisty slide. They have a skate park too which seemed very popular. We had a really lovely day at Preston Park Museum seeing the Behind The Seems exhibition, it was interesting finding out about the costumes and the rest of the museum is great too. It was the perfect way to spend a Sunday afternoon and we will certainly be returning again someday soon. Disclosure I was given complimentary entry to the museum and exhibition and compensated for this post, however all opinions are my own.